I post a photo of the classic Thai condiment you always find on a Thai dining table, and a question on my Facebook page, and may people asked for the recipe. The direct translation is chili (พริก “prik”) fish sauce ( น้ำปลา “nam pla”). Prik Nam Pla is a condiment for rice-based dishes such as fried rice or just white rice with sides. “Sides” in this case is a reference to all stir-fry dishes, soups, curries, etc. that are to be eaten alongside rice. As for me, I use on almost every Thai rice dish, especially when I eat ข้าวผัด /kâao pàd/. Some people are addicted to this sauce and put it on pretty much all foods they eat. Bird Chili (or “Bird’s Eye Chili“) or “Prik Kee Noo” พริกขี้หนู /prík kîi nŭu/ in Thai. ‘Prik’ means chili and ‘Kee Noo’ means “mouse droppings.” I know, it is such a strange name for a poor little chili, but it makes sense. Bird chilies are so tiny that the name is clearly a reference to its size. However, don’t let its size fool you, Bird chilies are one of the hottest chilies, ranking 50,000 – 100,000 in the Scoville heat scale, a notch below the habanero. Thin sliced garlic and charlotte can also be added if you prefer. 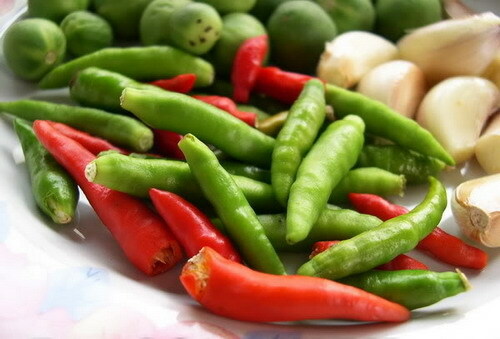 Chop the chilies into small rigns – use both green and red chilies to give nice color. To handle the chillies, hold the stem and then cut towards the stem. 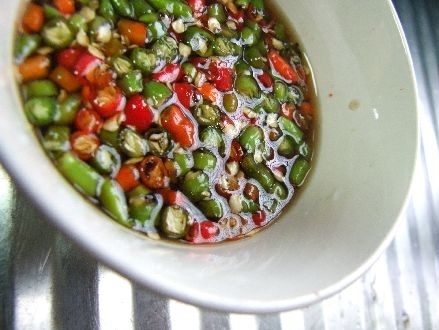 Put chopped chilies and garlic in a bowl, and cover with fish sauce, add a squeeze of lime, and a pinch of sugar. You can also add some thinly sliced shallots in there if you like. Cooking tip: I recommend that you make it fresh as needed. It is easy to do so, and it tastes much better than making a batch for storage! 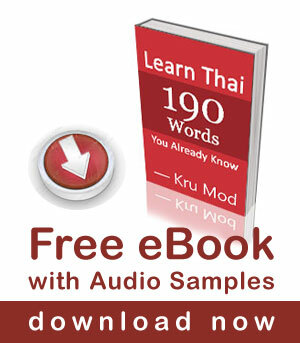 Thai language tip: There is a metaphor “Lek Prik Khee Noo” เล็กพริกขี้หนู/lék prík kîi nŭu / used to refer to leaders or people who are small in stature but has a dynamite character. Napoleon would be a good classic example of Lek Prik Khee Noo. In Thailand we name the former Prime Minister Banharn Silpa-acha Lek Prik Khee Noo. I love to have พริกน้ำปลา on almost everything! Thank you for this simple recipe.